In this report I am taking Commonwealth Bank of Australia for its strategic analysis in which it would be seeing that what would be its strategies for the growth and what are the factors that can affect its strategies and see what would be its financial analysis in which we would know that what are the cash flows of the organization that what amount of money is flowing out for what and what are its revenue generations and then we would see the accounting analysis that what are the risk factors that can affect the organization and what are its accounting policies to grow in the market. In this report we will see all the aspects that a company should be done for sustainability in the market, we will see that what are the analysis that an organization has to maintain to achieve the targets and what are the factors that help the organization to grow in a highly competitive market. 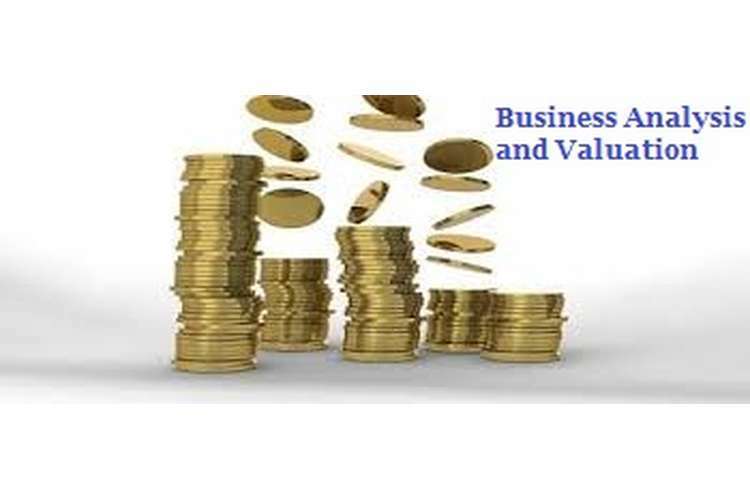 In this business analysis and valuation assignment help I have taken Commonwealth Bank of Australia as an organization whose analysis has to be done as we know that Commonwealth Bank of Australia is a multinational bank which has its business in many countries like New Zealand, Fiji, Asia, USA and United Kingdom commonly known as Commonwealth Bank, it provides various financial services and believe in providing best customer services so as to keep the customer satisfied with their services. In this report we will understand the various strategies that are being made by the Commonwealth Bank so as to retain success in the market and will do the various analyses so as to understand the key reasons behind the success of the Commonwealth Bank. The various analyses include strategic analysis, accounting analysis, financial analysis and prospective analysis so as to know the various plans and strategies of the organization for its key success. Competitive strategies are the strategies which are made to achieve a competitive advantage in the market. Commonwealth Bank uses various competitive strategies so that it can sustain the competitive market as Commonwealth bank is a multinational bank so it becomes necessary to have the effective competitive strategies. Price Leaders: Commonwealth Bank keeps an eye on the price leaders that who are the price leaders in the market, price leaders are the firms who decide the price of the market in the firm, so by keeping an eye on the price leaders Commonwealth Bank manage its price of the products and services that it provides to the customers as it is necessary for the bank to keep the data of the interest rates which are going in the market so as to provide the customers a better interest rate which are attractive and could attract more customers towards the various service of the Commonwealth Bank. Differentiation: Differentiation is the competitive strategy which uses to achieve the competitive advantage in the market by differentiating the product from the other products like Commonwealth Bank had done it had launched the different types of service like institutional banking, superannuation which are the different services given to the customer. Total Customer Satisfaction: Total customer satisfaction is the competitive strategy which is very important for every organization whether it is as small organization or a big organization the utmost target for that organization is to satisfy the customer by its product and services. (Aramberry & Bjork, 1999) Commonwealth Bank believe in customer satisfaction that is why it works hard in keeping the customer information private and have many updates according to the time and customer requirements. System Lock In: System lock in is a strategy which also works on customer satisfaction by giving them best products, as we have discussed earlier Commonwealth Bank provides customer satisfaction by providing the best services and giving them all relevant information regarding their financial status and about their bank accounts. Segmentation help the organization as it provide an opportunity of market expansion to the organization. Through segmentation the organization can increase its profitability and can earn more revenue. Segmentation helped the Commonwealth Bank as by segmentation it had got the opportunity to expand its market and can earn more profit and can have more users so as to sustain in the market. An organization should also make plans for the future performances so as to reduce the risk and to sustain in the market. Comparative performance is another key success factor which helps the company in determining the market situation by comparing the performance of the two businesses. Commonwealth Bank works on these key success factors so as to remove the risk factors and to move on the path of success so as to attain the market and to achieve success in highly competitive market. As discussed above the five forces that Commonwealth Bank has used to survive in the competitive market also gives the accounting flexibility as it is necessary to have accounting flexibility so as to change the accounting principles according to the market scenario and the risk of uncertainties can be managed and so as to develop itself in the competitive market analysis. (Collin & Buhalis, 1998) As we know that there is a risk of uncertainties in the market from new entrants, competitors, suppliers and there are many threats and the risk of losing the customers so the accounting flexibility should be there so that the organization could change it accounting policies according to the market. Accounting strategies of any organization should be hiding because there are certain things that should not be revealed and accounting strategy is the plans of the organization which will help it to stand in the competitive market so as to earn more revenue. It is important to hide the accounting strategies because competitors shouldn’t have the knowledge about the companies’ strategies because it may lead to loss. Commonwealth Bank also keeps its accounting strategies hide so that no one could know about its future plans about the market and about its products and services. Red Flags are the indicators that there is a problem with the security of the organization so as to remove those breaches the organization should have proper security control and all the accounts should be managed in a password protected files so as to keep the accounting data relevant and secured and if there are any red flags in the organization than there should be flexibilities in the accounting policies so that they could be changed if there is any breach in the security system of the organization. (Bound & Berry, 2005)Commonwealth Bank has the Red Flag policy and have the security to its data so that there won’t be any discrepancies with the data and the accounting information should remain secure. It is important for every organization to have the interpretations at several interval of time so that it could have the relevant data of what it have with it and what it needed in near future. Through DU PONT consideration the organization would have the relevant date of the revenue generated by it. As Commonwealth Bank uses the DU PONT it keeps the relevant data of its revenue that what amount of revenue was generated by it. The organization has to do the cash flow analysis that what are the incomes of the organization which is known as the cash inflow and what are the expenditures which is known as the cash outflows of the business. (Aramberry & Bjork, 1999) The organization has to see that what are the income generated from the expenses which are done so as to keep an eye on the facts that what is to be done next to minimize the expenses and to gain more revenue. Dividend discount model helps the organization to understand that how to value the dividend stock value of the organizations and it is important to know about the dividend stock’s value so as to have the correct knowledge of the dividend share of the organization. Through baseline forecast the organization gets to know that about the current stocks of the organization that what are the values of the stocks of the organization in the present market and helps to know that what the valuation of the shares should be kept in the market so as to make the goodwill in the market and to know the market stock valuation in the market(Davis, 2009). Through baseline forecast the organization knows that at what amount the funds are required to the organization. Scenario analysis is the analysis of the total organization, that what is the total valuation of the organization’s assets that would help the organization to represent itself in the market and to know what would be the share value in the market so as to provide the rates of shares in the market and to maintain the goodwill among the customers. Firstly the organization sees the best scenario cases that what would be the best scenarios if the organization took several steps or launch the new product in the market. Third is the mostly like scenario in which there are possibilities of one question i.e. what if, this is the scenario in which the organization always keeps a second option to handle the scenario of what if. In this the organization do the valuation on the basis the price of the product of the other organization it keeps the price according to the other organization’s price. In this the comparison is made by the same product of other organization so as to maintain the price of the product so as to attract more and more customers towards the product and to earn more and more revenue. At the end I would like to conclude that Commonwealth Bank is a very big brand and so as to keep the brand value of the organization and to sustain in the highly competitive market Commonwealth Bank has to do all the analysis on a regular interval of time whether it is a strategic analysis, accounting analysis, financial analysis or prospective analysis it is important that it should so all the possible activities which could help it to sustain in the market and would help to generate more and more revenue so that the organization grow and could bring more innovative products or services in the market to entertain the customers. Al-Shaer, E., & Butler, R. (2010). Lead in learning. Chandler: Barbarian Books. Barken, R., & Linoff, G. (2000). Non-Sampling vs. Sampling Errors in Survey Research. Journal of Finance , 156-164. Bound, D., & Berry, M. (2005). Learning in self directed mode. Chicago: Printice Halls. Bourner, T. (2006). Process development. Journal of Marketing , 66-87. Collin, R., & Buhalis, H. (1998). Developing a framework for rewards in combined production/service businesses. Austin: eLectio Publishing. Davis, P. (2009). Opportunities in the learning and development segment: STartegies for implementation and winning. Journal of Learning in Organizations , 167-189. Hoffman, J., & Asseal, H. (2013). International Journal of Service Industry Management. Journal of organisational development , 143-157. Keon, J., & Berry, M. (2013). Self assessment and learning. London: Aardwolf Publishing. Leeman, Y. (2006). Vocational education traits and characteristics. Challenges to vocational educators , 694-702.